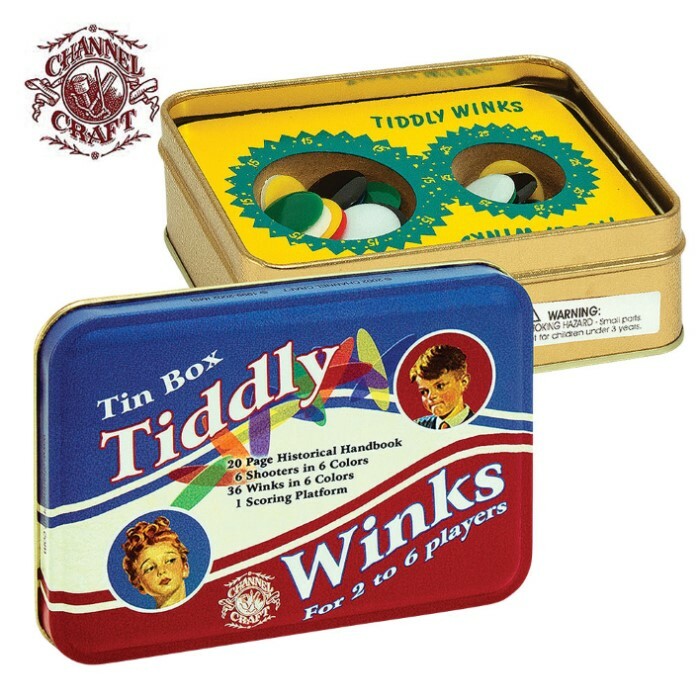 Tiddly Winks Tin Box | BUDK.com - Knives & Swords At The Lowest Prices! Do you remember the game Tiddly Winks? Did you play it as a child? Whether you did or not, this nostalgic, decorative tin and tiddly winks set is sure to be a hit with your family. The tin holds 36 winks and six shooters, which is the perfect amount for a six-player game. The pieces are made of durable plastic and come in six different colors. The scoring platform and a handbook are also included.